There are a variety of reasons that owners choose to keep their cats indoors: the cat is elderly; the cat is anxious; they live in an apartment; there is endangered wildlife in the area that the cat may hunt; the cat has health complications; the cat fights with the neighbours cat; there are dangerous wild animals in the area that may attack the cat; or the owners live near a main road. However, what's important is that the decision has been made with the cat's best interest at heart and that the owner does all that they can to ensure that they are kept happy and healthy. It is important to note that some cats, especially those that are accustomed to an outdoor lifestyle, may find it too stressful to adapt to being an indoor cat. It is therefore best that a cat is kept as an indoor cat from an early age. If you are going to keep your cat solely indoors you need to provide them with extra enrichment so that they don't become bored, aggressive, anxious, stressed or depressed. Cats are inquisitive, clever and curious creatures. 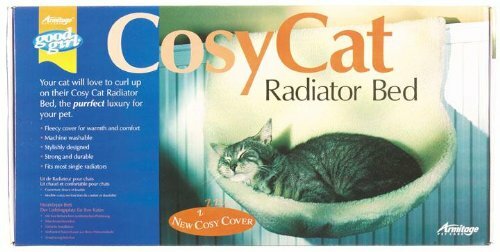 Cats that are to be kept strictly indoors will need to be in a stimulating environment that fulfils their needs and they will also need extra resources. So, how do you keep an indoor cat happy and healthy? Think about your domestic cat's wild ancestors. Finding a meal was much harder than weaving in and out of a humans legs a few times and then giving them a hopeful and chirpy purr. They had to hunt, which is both mentally and physical stimulating. From stalking, to the chase, to the kill, hunting requires both effort and skill. Also, extending the amount of time that your cat spends feeding can help prevent boredom. 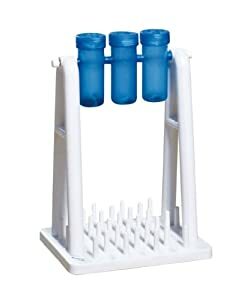 With both of the methods below it is very important to monitor the amount of food that they are eating and check that they have managed to access it all. Hide Their Food: You can either hide a few healthy treats around a room, or you can hide their entire meal by splitting it into a few dishes. This can become a really fun game to play together. Make sure that your cat is out of the room that you have chosen to be the new hunting grounds and shut the door. Otherwise, they will just follow you around hoovering up what you put down, which defeats the whole object of it being a challenge. Hide healthy treats or their normal food in various locations, such as on their cat tree or on the window sill. Make sure that you remember all the hiding spots so that you can check afterwards that they managed to find it all. At first, guide them to where the treats are hidden. This is a new concept and it is best to introduce it to them slowly. Once they get used to it they can find the food on their own. They will soon come to realize that as soon as the door is opened they have to go in and seek out their food. 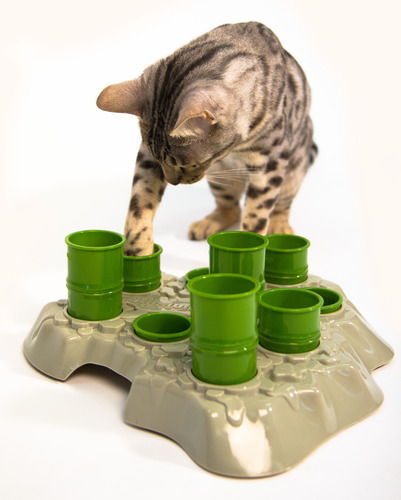 Interactive Food & Treat Dispensers: This method of feeding involves your cat using some basic problem-solving skills in order to access the reward, their food. lowest price I recommend Amazon. cat swipes them they spin and the treats fall out. Click here to see customer reviews on Amazon. varying heights for varying difficulty. This is a popular item on Amazon. Not only does grooming help prevent fur-balls, prevent matting and help stop a film of cat hair from forming all over the furniture, it's also a chance for you and your cat to spend some time together. 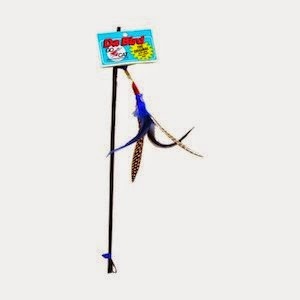 Interactive fishing rod type toys, such as Da Bird and the Cat Charmer, are the best when it comes to kitty playtime. 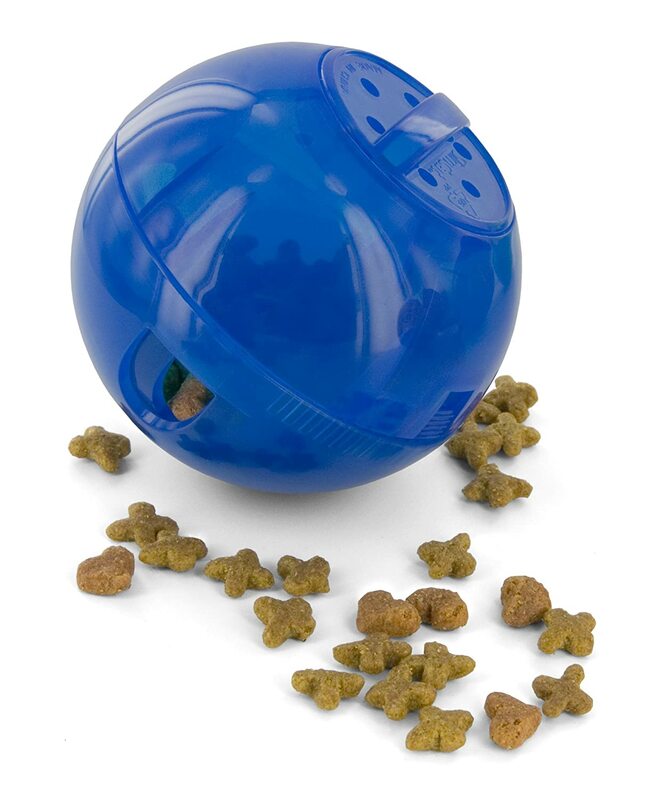 Toys that you can move around and encourage your cat to hunt and pounce are the most exciting. 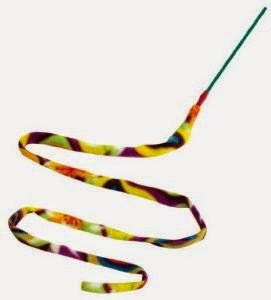 However, these sorts of toys have stringy bits so they should only be played with under your supervision as cats have been known to swallow them. Make sure that you engage in daily sessions of interactive play with your cat, which is both mentally and physically stimulating for them. 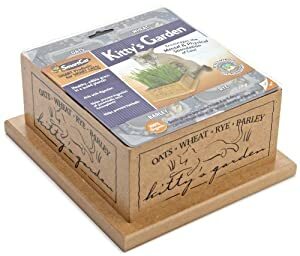 Common Oat, Avena sativa, is also known as cat grass. However, the term 'cat grass' is used to refer to a number of grass species, such as barley, oat, rye and wheat. 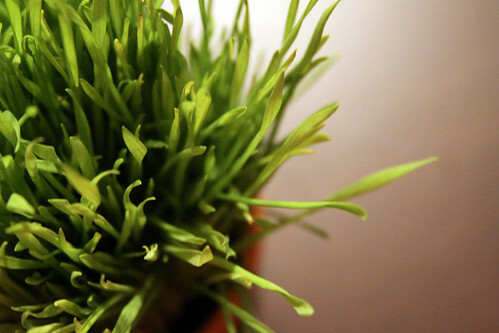 Grass contains fiber that helps with their digestion. The roughage also helps them move hair they have swallowed while grooming themselves through their digestive tract. Grass induces vomiting, which helps cats expel indigestible matter such as feather, bones and fur, not only from the prey they eat but also hair that they swallow while grooming themselves. Their digestive systems aren't designed to process grass but some minerals and vitamins may leak out of the grass juices. 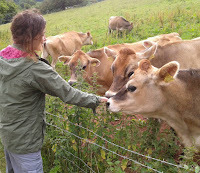 They like the crunchy feel and sweet taste of grass. Although there is no evidence that cats need grass, if a cat cannot go outdoors and obtain grass then it may be best to provide them with some, so that they at least have a choice. You can either buy pre-grown grass or you can grow it yourself. Growing your own cat grass is fun. For the lowest prices I recommend visiting Amazon. 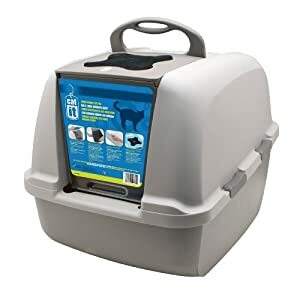 Having a litter tray is common sense but there are a variety of things that you can do to ensure that your cat is happy with their litter tray setup. Follow the '1 each, plus 1' rule. Every cat should have their own litter tray, then you should have an extra one. Cats should not be expected to share litter trays. Make sure the litter trays are in a quiet location away from where they eat. Buy one open litter tray and one covered litter tray to find out which type your cat prefers to use. If you can only get one type then I would buy a litter tray with a cover as cats tend to like some privacy while they are doing their business. 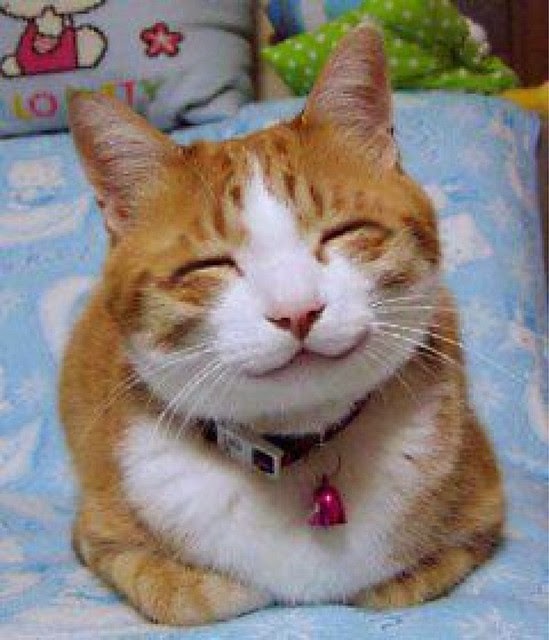 Make sure the litter tray is spacious so that your cat doesn't have to step on old eliminations each time they use it. Remove old eliminations daily and give it a thorough clean once a week. Most cats prefer litter that is fine-grained, like sand, and is unscented. However, each cat is an individual and will have their own personal preference, so you may have to try a few different types of litter out. Each cat will have their own preference in regards to the amount of litter so experiment with different depths of litter, or have one deep end and one shallow end. easy to clean, with a carbon filter to remove odors. is normally at a reduced price. Scratching is a completely natural behavior. 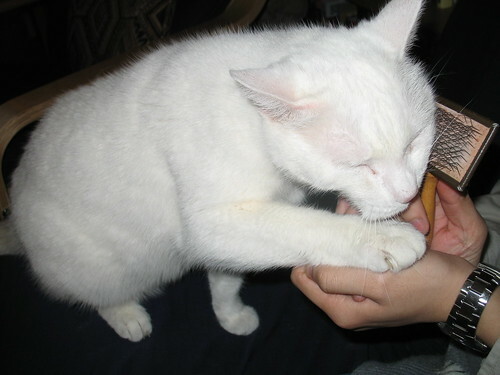 Cats will scratch to mark their territory, stretch and to remove old claw sheaths. 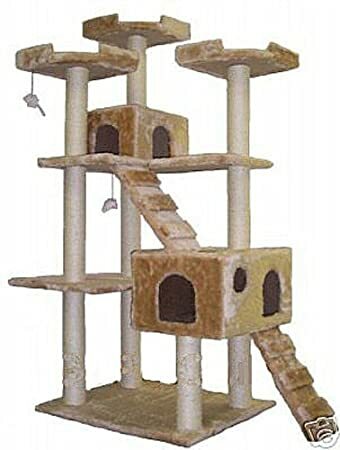 If you don't want your furniture and/or carpet to be destroyed then you must buy your cat a scratching post. 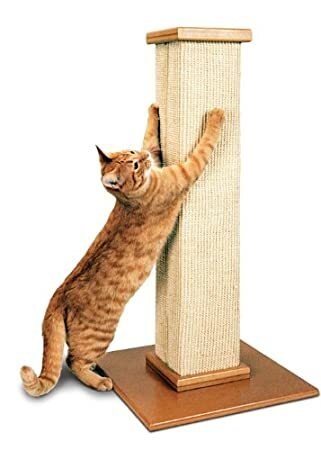 I highly recommend the SmartCat Ultimate Scratching Post, since it is tall, sturdy, high-quality and very reasonably priced. It is excellent quality and, importantly, very tall. For tips on how to stop your cat scratching your furniture please click here. 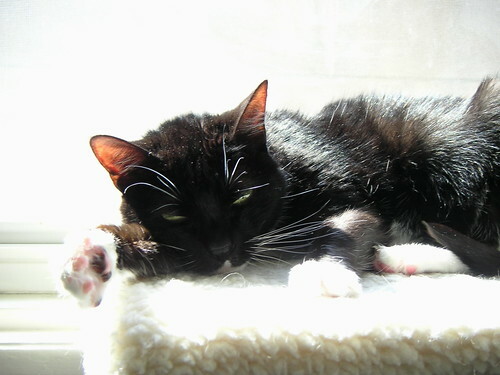 For tips on how to encourage your cat to use their scratching post please click here. Get creative. You can even build runways around the perimeter of the room and shelves for your cat to climb on. Ideally, your cat should also have a private place where they can rest and not be disturbed when they want some quiet time. Resting Spots That Are Up High: Cats like lookout locations. They like spots where they can spy on the rest of the world and where they feel secure. It's really important to have some resting places up high, such as a tall cat tree, access to the top of the wardrobe or runways around the perimeter of the room. scratching, mice for playing with and exercise! Resting Spots On The Wall: I think cat shelves are a fantastic idea. 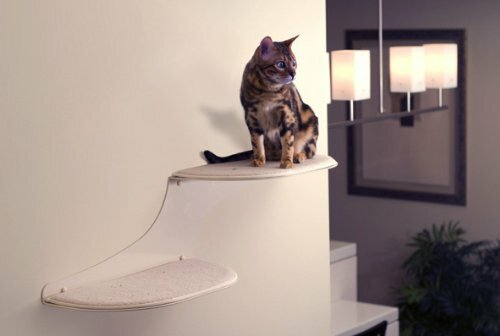 Not only do the provide a place for your cat to rest but you can use them as stepping stones for your cat to access places higher up, such as the top of a wardrobe. made with super soft, padded faux sheepskin. This is a 5-star rated product on Amazon. Resting Spots By The Window: Window perches make ideal resting places. 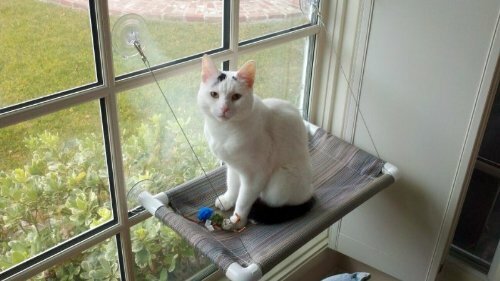 Not only can your cat have a cozy snooze, but many cats like to have a spot where they can watch what's going on outside and participate in one of their favorite activities, known as bird watching. It's basically their version of TV. USA suction cups. It is a #1 seller on Amazon. Resting Spots That Are Warm & Cozy: Snug radiator beds make warm and dreamy sleeping areas during the winter months. ultimate comfy bed, available on Amazon. It's true, there are DVDs that exist that have been produced especially for cats. They tend to have a lot of little critters running across the screen that will have your cat mesmerized. It's not for every cat but some really enjoy it. Those that do will soon be following you every time you approach the DVD player in anticipation that you are going to put their favorite DVD on. Just make sure they don't pounce on the TV and knock it over! 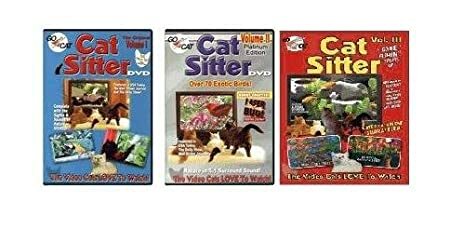 Cat Sitter DVD Trilogy - Hours of entertainment for our furry friends! Believe it or not you can train cats to do tricks. 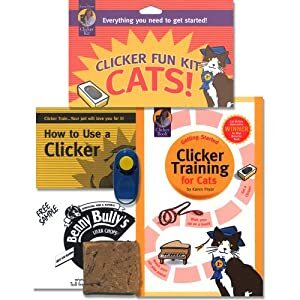 It's a great way to spend some bonding time together and keep your cat mentally stimulated. For more information on training cats I highly recommend that you watch Catmantoo's YouTube channel. an easy to follow training book and dehydrated fish treats. 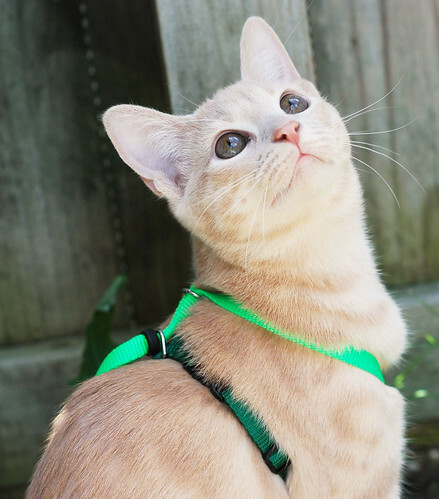 If your cat is looking longingly out of the window and you would like to start taking them outdoors, under your supervision, then training them to walk on a leash and harness could be your ideal solution. It is best to introduce the leash and harness to them while they are a kitten. They key to getting them used to being on a leash and harness is to go really slowly! Start of with just the harness and get them used to wearing it indoors. Gradually get them used to being on both the harness and leash indoors. Only once they are comfortable walking on the leash and harness indoors should you attempt to go outdoors. This idea is not for everyone, but some cats and their owners really love it. In tip two for grooming, I totally have that problem where I see loads of fur building up on my couches. I've just been wondering what ways I can help take care of my cat's fur when she's shedding. I had no idea that correctly brushing your cat could also help with fur balls! I'm definitely going to have to try these grooming methods with my cat. Thanks!